Retroblog: SF Giants are in the World Series! 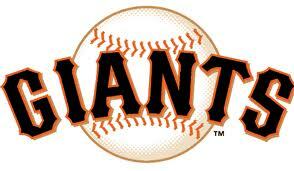 SF Giants are in the World Series! Don't really follow baseball, but wanted to say congratulations to the Giants as they'll be going to the World Series this year! The last time they won was in 1954, so I hope that this is the year for their next win... First game of the Series is this Wednesday, October 27, here in AT&T Park against the Texas Rangers. Best of luck to everyone playing!